There is something so special, genuine, and sincere about Trinity Seely’s music. Her soulful, cowboy lyrics and the soothing tone of her voice speak to my soul. 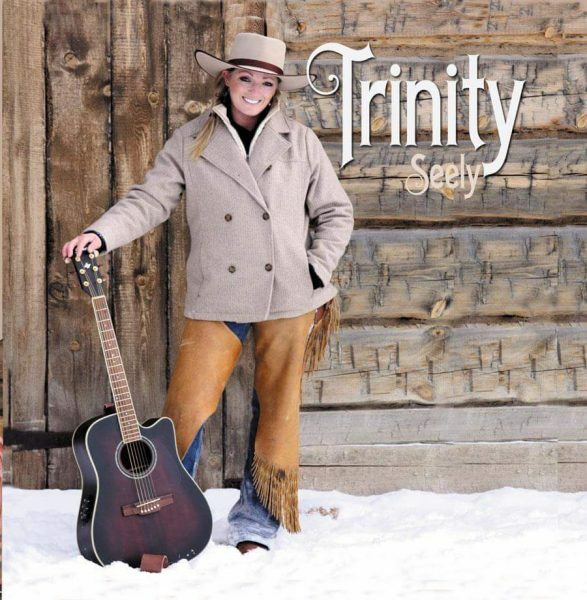 If you have never listened to Trinity Seely’s music, I am very excited to introduce you to it! If you are already familiar, I am excited to let you know a little more about the amazing lady behind the music. The first time I ever listened to Trinity Seely’s music it literally brought tears to my eyes and gave me goose bumps. 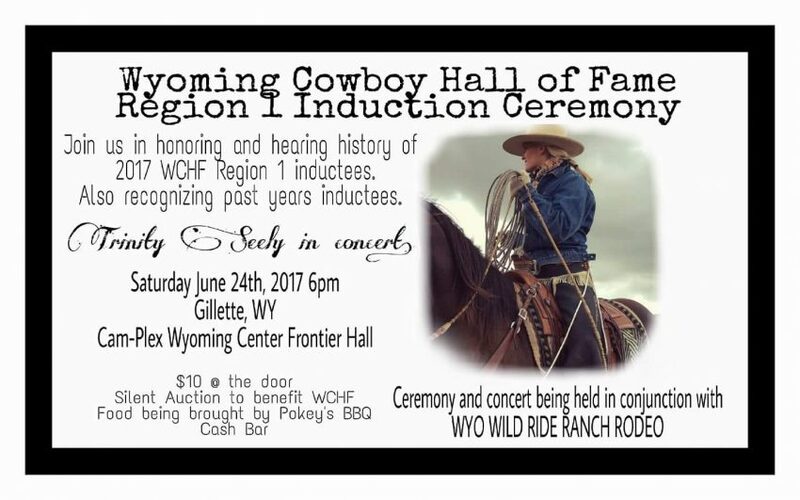 Her songs about cowboy life, Wyoming, horses, and history gave me an idea to contact her and ask her if she would be interested in performing at the very first ever Wyoming Cowboy Hall of Fame benefit fundraiser. Trinity so graciously agreed. 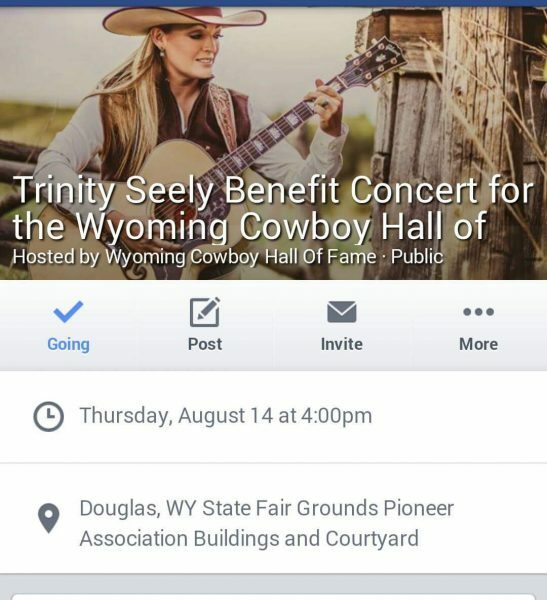 August 14th, 2014 History was made by Trinity Seely performing for the very first ever Wyoming Cowboy Hall of Fame fundraiser. 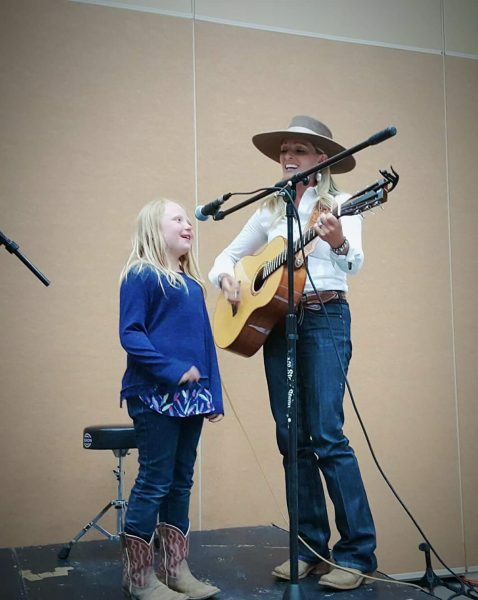 After how successful our first collaboration was, we have since asked Trinity Seely multiple times and she has been so awesome time after time to play Wyoming Cowboy Hall of Fame and for the Wyo Wild Ride Ranch Rodeo. Every performance has been immensely enjoyed and greatly appreciated! She has performed before our horse sale and at evening ceremonies. Trinity was so sweet and made my daughter Savanna’s year when she asked her to come up and sing with her at the WCHF ceremony! It was very special. 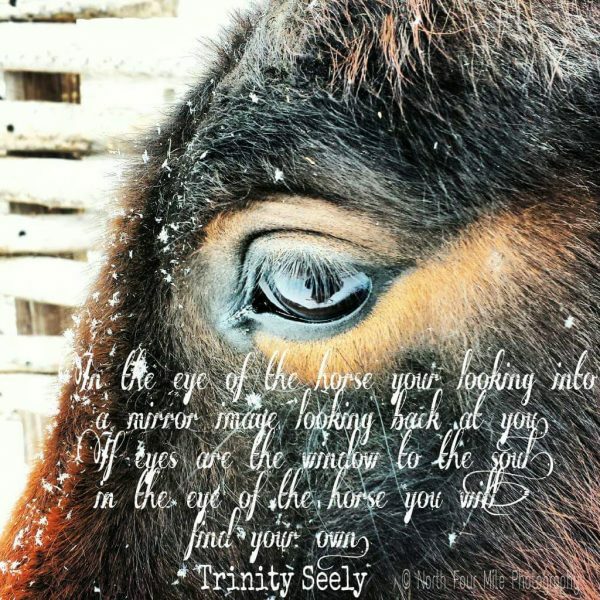 The truth behind Trinity Seely’s lyrics cut deep in those who appreciate her eloquent way of describing our cowboy lifestyle. The only way one can do such a thing is by living and breathing it themselves. 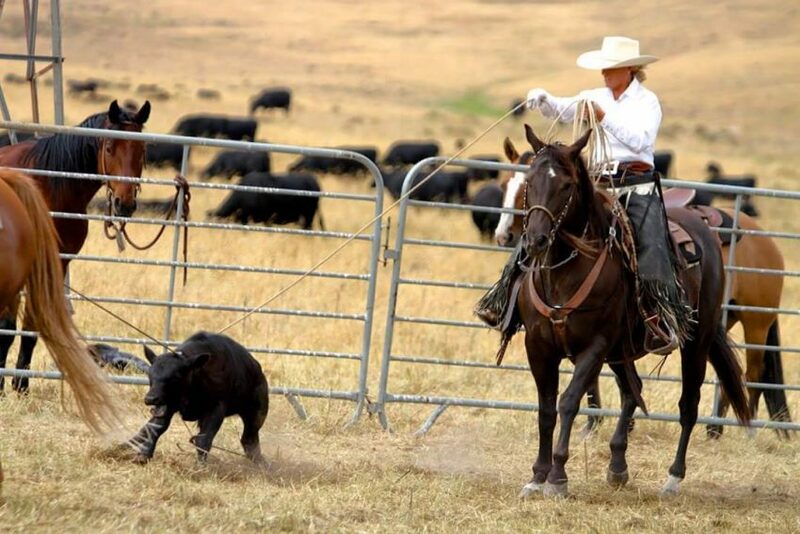 Trinity and her husband Jeff Seely, along with their adorable kids have lived and worked on big outfits where cowboys work hard and earn their pay working long days in all sorts of conditions. Many of Trinity Seely songs reference working along side her husband Jeff Seely who she clearly admires and appricates. This is a fun song that I think every ranch couple can relate to. She definitely has a gift for painting a picture with her words and singing it with her own style. CS: Please tell us about your years growing up in Canada and what brought you to the US? When did you first start singing and playing the guitar? TS: I grew up in the Chilcotin in British Columbia, Canada. My family owned and operated a fishing and dude ranch. Our childhood was anything but typical. My family’s mode of transportation was a Cessna 185 that my dad flew. 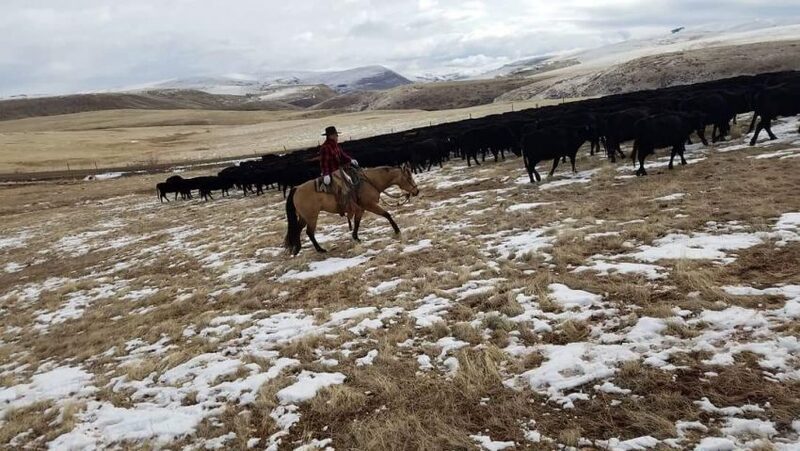 Flying in and out of remote lakes, guiding fishing trips, horseback rides, river trips, milking cows, feeding guests and night time entertainment around the campfire. My parents are amazing people that have taught us to work hard and dream big. Everything we did, we did as a family. Summers were filled with guests and the business of keeping cabins cleaned, people fed and happy, and horses rode and trained. Growing up we never had an actual bedroom until I was in my teens. In the summer my sister’s and I slept in a renovated chicken coop turned bunkhouse, bathed in the lake, lived outdoors, and learned to love every minute of it. Winters were another experience. My family would move into a log cabin, and haul water out of the lake when it would freeze up. We washed clothes in the bathtub, watched moose and wolves come in to water in front of the cabin on the lake. My dad would build us an ice skating rink every year. I can’t tell you how many hours us kids spent on that lake. We learned to love winter time and the long winter days together. We had a little family band. My mom played the guitar, my dad the base, my sister’s and I sang. I can’t remember a time when music wasn’t a part of my life. My mom was always singing Ian Tyson, Chris LeDoux, Suzy Boggus, Pam Tillis, and Allison Kraus to name a few. That is the music we were raised on. When I reached my junior year in high school I left to attend the Thacher Scool in Ojai, California; which offers an amazing education as well as a wonderful horse program. Due to our remote location and limited options for schooling. That was an amazing time in my life and I’m so grateful for that opportunity. 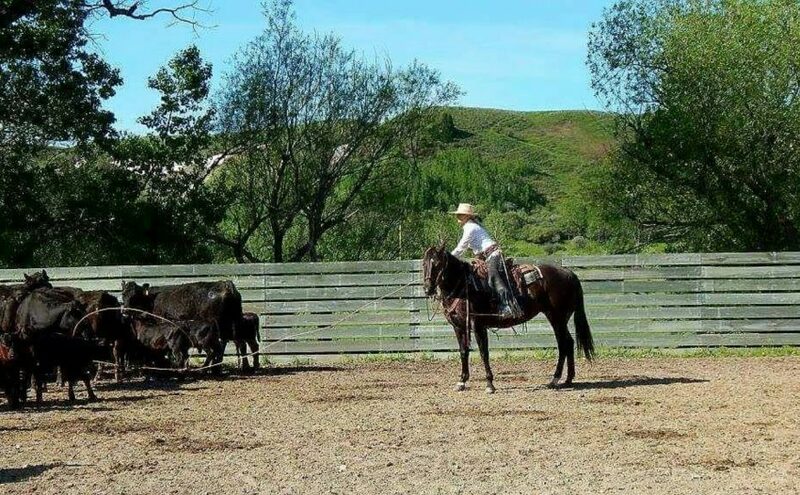 I was able to bring my horses with me to California and learned from some amazing horsemen. CS: When did you record your first album? How did that all come about? Any special people who helped you? Also please tell us about your other two albums as well… dates, and any special people who helped make it happen. TS: I recorded my first album in 2011 with the help of our good family friend and mentor, Brenn Hill. Bren helped me produce my CD and gave me the encouragement and support to put my songs out there. Believe it or not, I’m a pretty big recluse and don’t mind being removed from the world, so putting so much of myself out there for the first time was a little bit scary. When you write, it comes from such a personal place and learning how to share that has been an interesting journey. I released my second album, Old Poly Rope in 2013 while living on the Handcart Ranch in Central Wyoming. I will never forget how much that land really just grabbed us both, think it still has a little hold. My third album, Cowboy’s Wage, was released in 2015. 2013 through 2016, my family moved from Wyoming, to Nebraska, to Montana, where we have worked on several ranches, learned to love the land and the people, and we continue to watch our kids grow. One of the greatest gifts of our crazy life has been the people that have been brought into it. So many of my songs and stories are inspired by these wonderful people and a lifestyle that we love. TS: I’ve been honored to be the recipient of the Spur Award with the Western Writers of America for a song that Waddie Mitchell and I co wrote called “The Hand”, in 2014 my song “Cowboy Hat” won the song of the year with the Western Music and in 2017, I was honored to win a Wrangler Award from the Western Heritage Musuem and Cowboy Hall of Fame. I hope you enjoy Trinity Seely’s music as much as my family does! We have all three of her albums and listen to them daily!